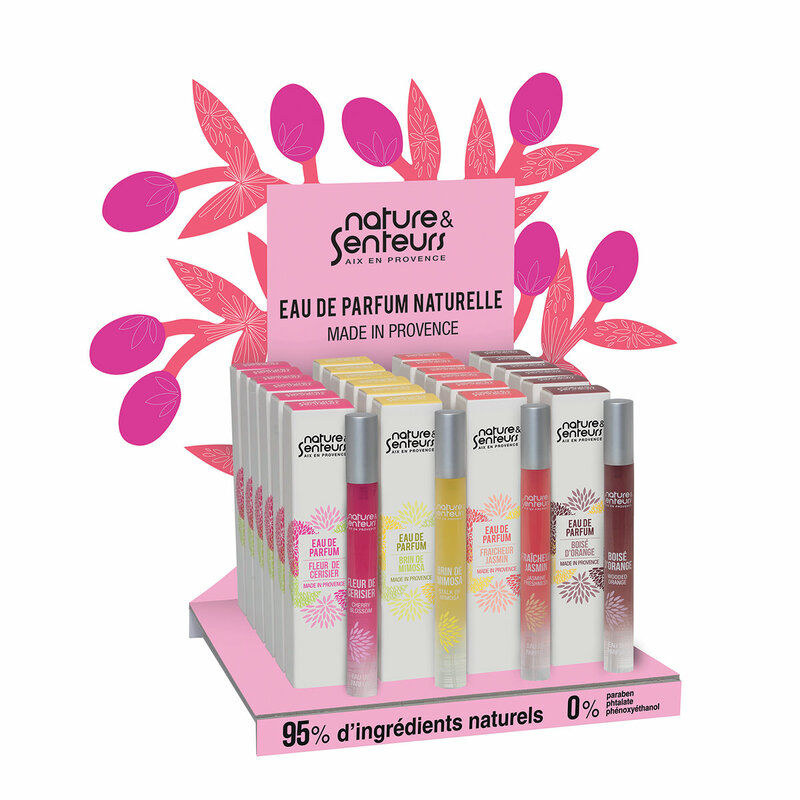 Nature et Senteurs “Eau de parfum”: safely and naturally perfumes. Nature et Senteurs «Eau de parfum»: a great selection of fragrances from Provence available in pharmacies. Delicate or intense scents according to your desires, easy and convenient mini format to spray all day long. The collection of Nature et Senteurs «Eaux de parfum» is available in different fragrances, intensities, ways of use and formats to satisfy your desires, to indulge yourself or others. Nature et Senteurs offers fragrances that have been developed by professionals perfumers from the city of Grasse and ingredients full of tonicity like trace elements for your senses to travel in Provence. Nature et Senteurs perfumed waters contain a minimum of 95% of natural ingredients for harmless pleasure. 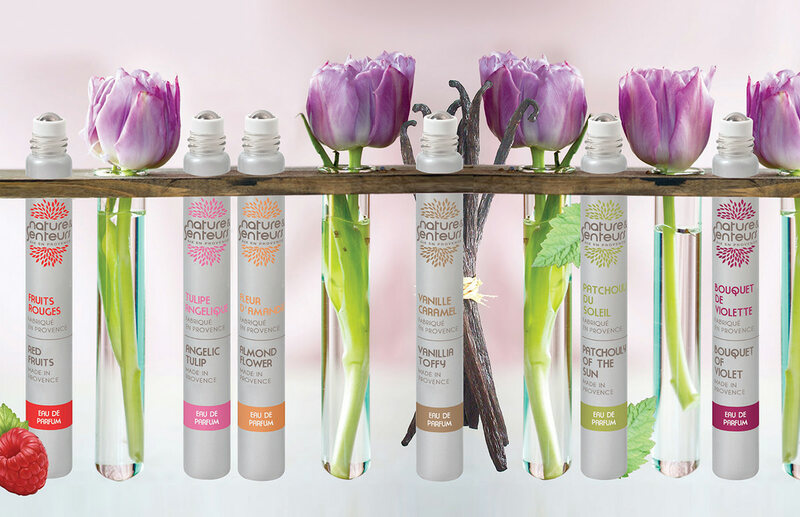 They are made in Provence without paraben, phthalate, colorant nor phenoxyethanol. Please go through «Eau de parfum and Eau fraîche: advice from Horizane” for lovers of scented notes sprayed anytime during the day. Nature et Senteurs “Eau de parfum”: you make the choice of a natural product to perfume, refresh and stimulate yourself all day long whenever you want. Either you choose the Eau de Parfum (10 and 15ml) or the Eau Fraîche (30ml), the Nature et Senteurs elixir will perfectly fit your daily life. The Eau de Parfum is available in 10ml roll on or 15 ml spray. These mini-formats are very convenient and easy to carry on in your handbag to get scented touch-ups whenever you want. Thanks to its high perfume concentration, a mere spray is enough to get perfumed. The roll on version: you roll the bottle on your skin to get a fun and precise perfuming wherever you want. The spray version: for a timeless and authentic perfuming gesture. 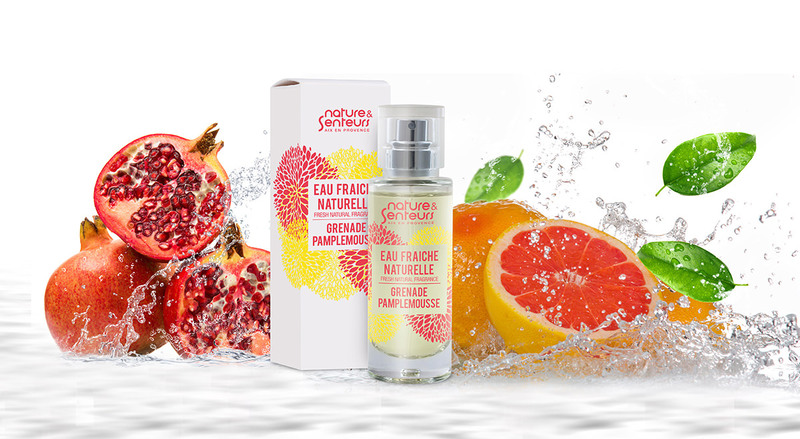 Nature et Senteurs «Eau Fraîche» is a multi-function perfume: less concentrated than the Eau de Parfum, it perfumes, refreshes and stimulates the skin. Available in 30ml spray, you can refresh by generously spraying the Eau Fraîche all over your body thus leaving a discrete wake of perfume. What is its secret to leave such a light and discrete wake? It has little alcohol in it. Enriched with tonic trace elements, your skin is stimulated. An Eau de Parfum that puts Provence under the spotlights: from “Wooded Orange” floral water to Almond blossom, you can choose from a great selection of fragrances. Eau de Parfum and Eau Fraîche are available in many different fragrances and convenient sizes to satisfy all your desires and lifestyles. • Available fragrances for the 15ml nomad collection in spray: Stalk of Mimosa – Cherry Blossom – Jasmine Freshness – Wooded Orange. • Available fragrances for the 10ml nomad collection in roll on: Patchouli of the Sun – Angelic Tulip – Vanillia toffee – Bouquet of Violets – Brown Musk – Red Fruits – Almond Flower. • Available fragrances for the 30ml Eau Fraîche collection: Pomegranate Grapefruit – Almond Flower – Wooded Orange – Tulip Angelique – Cherry Blossom. Nature et Senteurs Eau de Parfum and Eau Fraîche : characteristics of natural and timeless products. • Composition: maximum natural elements with a minimum of 95% of natural ingredients, without paraben, phthalate, colorant nor phenoxyethanol. It has little alcohol in it. • Formats: 15ml and 30ml sprays. 10ml roll on. • Selling points: exclusively in pharmacies and para pharmacies.